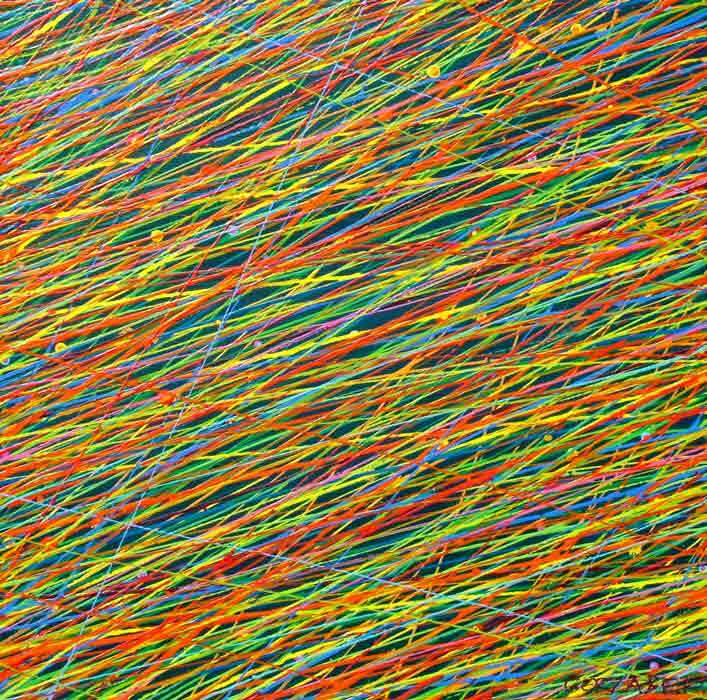 Lovely interwoven coloured lines create a lively pattern in this semi-abstract contemporary painting. and presented as a non-representational abstract artwork. 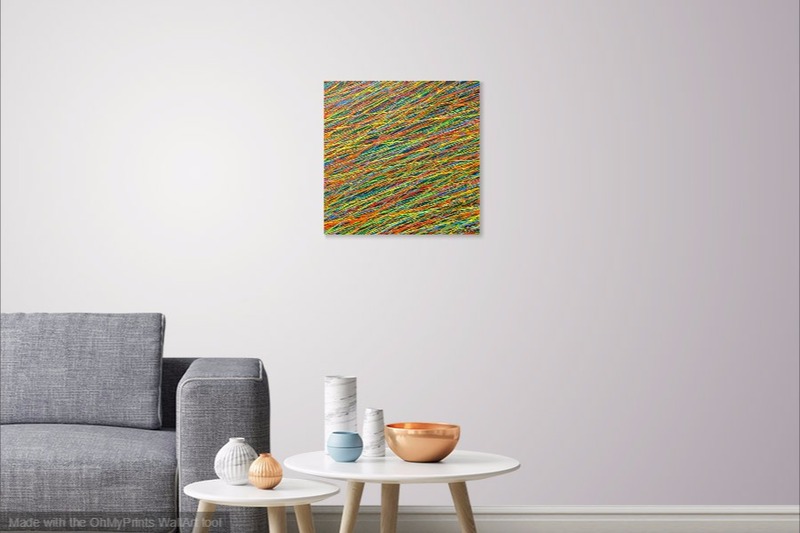 An Australian artist's response to natural elements, a celebration of the humble and the "ordinary"!